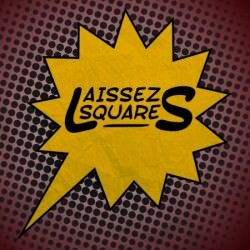 LaissezSquares Discussions Liberty.meIs EVE Online an AnCap Utopia or hidden Socialism? Is EVE Online an AnCap Utopia or hidden Socialism? When a corporation owns enough land, does corporate sponsored health insurance equate to socialized medicine? EVE doesn’t have guilds, it has corporations. Since there are no NPC buyers and sellers coupled with in-game money costing large amounts of real life time, is EVE a scale model capitalist economy? So, in EVE, these corporations have internal insurance programs that insure them upon death and asset destruction during conflicts. these corporations own massive amounts of real estate and are essentially nations unto themselves. I’m not sure I understand the first question but I’d say if you are voluntarily buying health insurance from a private corporation with your own money, it is not socialism. I’ve played EVE Online on and off (now off) for many years but almost entirely in empire space in an npc corp or a player corp that didn’t really act much like a corp. There is a very healthy market economy and almost every in game item is player made. Unless, however, you confine yourself to mining, manufacturing and research, you will probably be running missions for your local empire, which I’d say is a fascistic organization much like the United States of America. I don’t know much about null-space however. I’d like to hear from someone whose played there whether they think it is a AnCap utopia. EVE is a game where a corporation works like a State in itself. The lines are blurred. I am wondering where the line is when a corporation becomes almost a State in itself. All of a sudden, employer insurance becomes state sponsored single payer, your boss gets almost dictatorial power over you, and benefits become government entitlements. In real life I think of De Beers in Sub-Saharan Africa. I have been thinking about this a lot. It seems almost voluntaryism, where lots of states exist and the most important characteristic is the ability to leave.